Home Gadget Windows Mixed Reality: What it is? What functions it has? What devices are compatible? Windows Mixed Reality: What it is? What functions it has? What devices are compatible? Today we are going to thoroughly explain what Windows Mixed Reality is, one of the great novelties of the latest Windows 10 updates. It is a unified mixed reality environment, so we will review this concept of virtual reality and we will tell you which the Microsoft’s intention for this new platform is. We will also explain what functions it has and what can be done with it. We will end by saying what are the minimum requirements to be able to use it on a desktop or laptop, and what are the devices or glasses of mixed reality that have gone on sale to be able to take advantage of it. 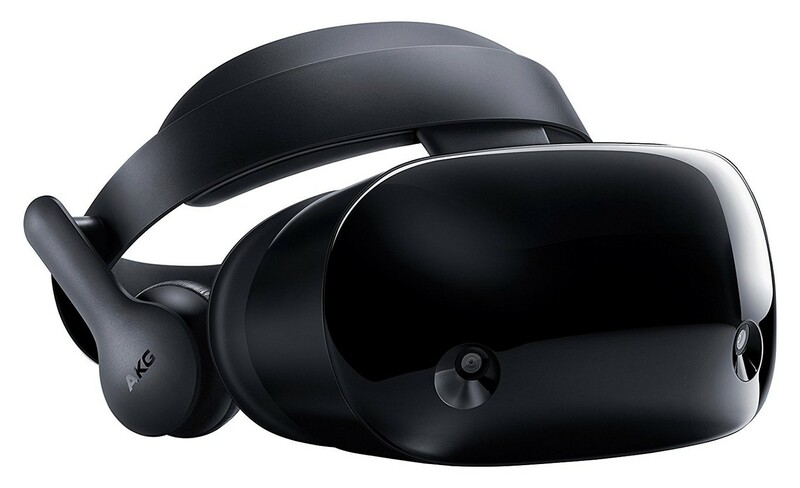 Windows Mixed Reality is one of the new features included in Windows 10: Creators Update, the Microsoft operating system update launched in April 2017, and which has continued to improve in the operating system updates that preceded it. It is an application in which to implement mixed reality natively in Windows 10, an alternative and completely digital interface to use with adapted glasses. Mixed reality is a union between virtual reality and augmented reality. Mixed reality is a mixture between virtual reality and augmented reality. Therefore, by betting on this concept, Microsoft offers a platform that encompasses both realities, a common starting point to use applications and experiences designed for one as well as the other. On the one hand, virtual reality allows you to immerse yourself in completely digital worlds, while the augmented one lets you print digital objects in real environments. Microsoft is certifying viewers for both types of virtual reality, so whether you use one or the other you can start from the same starting point with a unified experience. For this type of digital reality to be as accessible as possible, Microsoft has created its ‘Windows Mixed Reality’ or ‘Portal of mixed reality’. It is a virtual desktop in which you can open all your applications, and which has the appearance of a house in whose walls and rooms is moving and visualizing holograms with the apps. In order to use the ‘Windows 10 mixed reality portal’ you need three things. First a computer that is powerful enough to move, especially for your graphics card. You will also need one of the helmets or glasses certified by Microsoft, as well as a special controller or command to move in virtual environments. Knowing if your computer is enough to use the mixed reality of Microsoft is simple, since when you open the ‘Mixed reality portal’ a check will be made and you will be told if you have enough. You will see the power of your graphics, the CPU, the RAM, the space on the disk, that you have a USB port fast enough and Bluetooth. If you prefer, there is also a specific application to do the checks thoroughly. As for the glasses, the Hololens. They are the most expensive option with a price of 3,299 dollars. There are other certified alternatives available that do not appear in the Microsoft store but you can search in other stores, and that are manufactured by companies such as Acer, Asus , Samsung, Dell or HP. These already have somewhat more affordable prices of between 400 and 450 dollars. The controls usually always come with the glasses, something important so that the bill does not fatten even more. 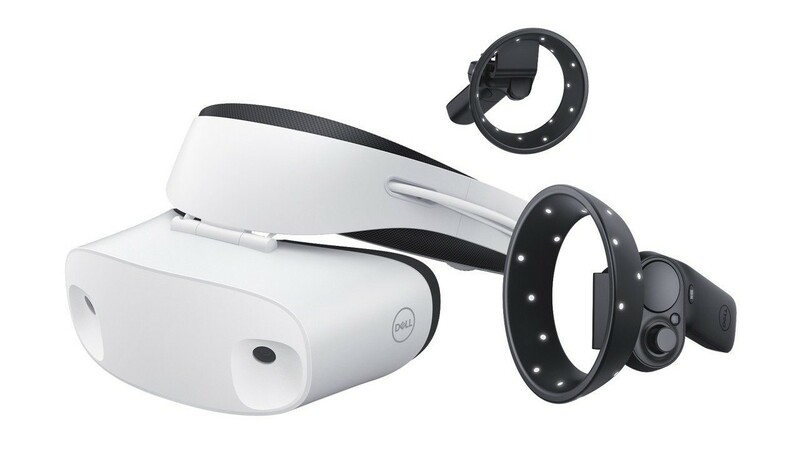 Therefore, we can say that Windows Mixed Reality is a mixed reality concept controlled by Microsoft to create a unified platform of applications and services. With this control, the company determines how you visualize the content, sets the guidelines for designing the glasses and the controls with which to use it, and presents the compatible applications to the Windows 10 store. All well integrated so that it is the least complicated to use. The main function of the Mixed Reality Portal or Windows Mixed Reality is to act as the gateway for all virtual and augmented reality content. The idea is that from this interface you can run applications and experiences of mixed reality without having to remove your glasses to prepare them on the computer. You can download these experiences whenever you want from the Microsoft Store itself. The interface of this portal is in the form of a house. With the controls of your digital reality viewer you can navigate through it, and on its walls you can go running different applications. These will be seen in two dimensions so that they are easier to organize, as if they were pictures, but once you click on them and execute them, you can immerse yourself in the virtual or augmented reality experience that they offer you. You can also use conventional applications and visualize the multimedia content of your computer . In those cases, these will continue to be seen at all times as a two-dimensional window with which you can interact. In fact, you even have a version of Microsoft Edge to be able to surf the Internet from your mixed reality interface. With Windows Mixed Reality you can play virtual and mixed reality games. You have a section in the Microsoft Store with several types of adapted games, both free and paid, from the mythical Minecraft to other games of billiards, role, adventures or virtual tanks. There is also a Windows Mixed Reality application for Steam that allows you to play Steam virtual reality games with your helmets prepared for the mixed reality of Microsoft. You can also use this mixed reality to test social and entertainment applications that you also download from the Microsoft Store. In this section you will find comics readers to planetariums to explore the solar system, going through virtual communities or appointments to 360 degree travel. Windows 10 itself also has a 3D figure viewer, and a 3D Paint that will allow you to draw in virtual environments. Intel Core i5 CPU (7th generation), with 2 physical cores with Intel Hyper-Threading technology available CPU i5 Intel Core i5 (4th generation), with 4 or more physical cores. AMD FX-4350 4.2Ghz (desktop), 4 or more physical cores. For starters, Microsoft has established two types of minimum specifications to be able to use its mixed reality. On the one hand, we have minimums for computers with integrated graphics that will be able to experience an initial 60 Hz experience, and then we have what Microsoft calls the Ultra version of its mixed reality, which will have higher quality and will need dedicated graphics. As you will see in the specifications table, when you have a computer with integrated graphics you will need a better processor, whereas if you have a more powerful dedicated graphic there will be less load for the CPU, and therefore it will not need to be so modern. But usually, most requirements are very similar. 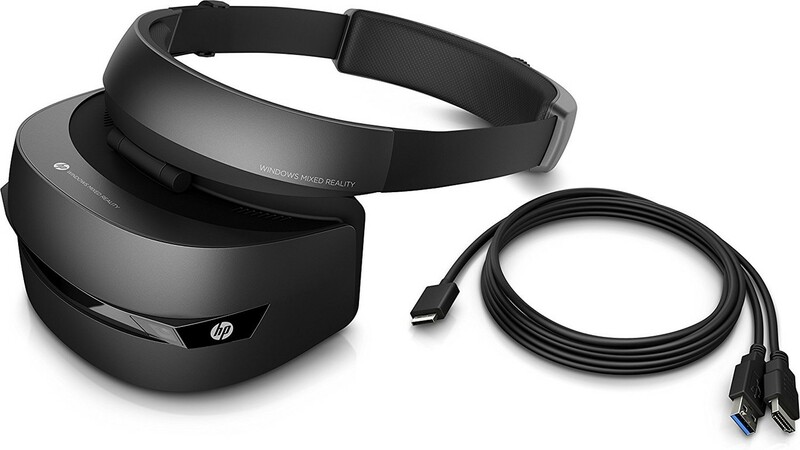 In any case, if you want to make sure that your computer is compatible with Windows Mixed Reality, Microsoft has in its application store an application called Windows Mixed Reality PC Check with which you can thoroughly test the requirements of the computer, and that It will indicate what it is that you fail if you do not have enough to execute it. Microsoft has established agreements with different manufacturers to design virtual or augmented reality glasses for its mixed reality system. With this control over the design in a close collaboration, they make sure that all the glasses offer a unified experience to the users. Below are the first ones that are available, all include control commands. 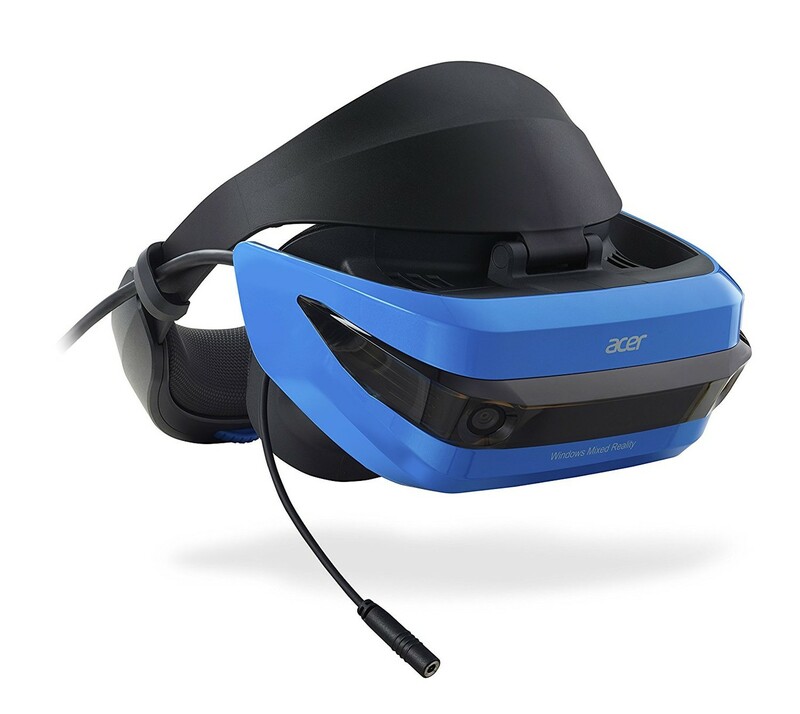 Those of Acer were the first glasses presented for Windows Mixed Reality in March of 2017, and that is precisely why they are quite basic. It has two LCD screens (one for each eye) with a resolution of 1440 x 1440 pixels each, and a field of view of 95 degrees. Its price is 376 dollars on Amazon. The glasses of HP are very similar to the ones of Acer in specifications, with his two LCD of 1440×1440 and a field of vision of 95 degrees. However, the design is much more careful. You can find them for 449 dollars on Amazon. Lenovo’s Explorer is one of the lightest Windows Mixed Reality compatible glasses available. That is not an impediment to offer a resolution of 1440×1440 in each eye, with a field of view of 105 degrees on the LCD screens that equips. You can buy them at Amazon for 389 dollars. Dell has taken the previous proposals and has applied a better design, more comfort to be more adjustable, and a field of view that rises to 110 degrees, maintaining the resolution of 1440×1440 per eye on its two LCD screens. Although of course, these improvements have a price. You have them for 455 dollars on Amazon. 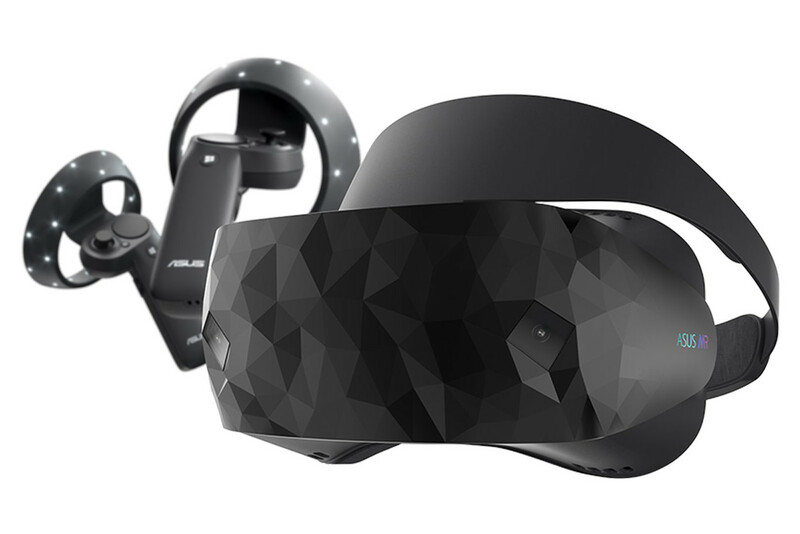 Asus commitment to mixed reality has a lot to do with design, since its glasses stand out above the rest precisely because they use one that is reminiscent of the HTC Vice, but more polygonal. Its specifications are not so surprising, with a resolution of 1440×1440 per eye and a field of vision of 95 degrees. Its official price is 449 dollars, although on Amazon right now they are much more expensive. Although not yet available in all countries, Samsung’s proposal is currently the best we will find for the mixed reality of Windows. It has two AMOLED screens with a resolution of 1440×1600 per eye with a 110-degree field of view, and AKG headphones. Its official price is $ 499.99 on the official website of Samsung.